Opening Days Reception 12:00pm-2:00pm Saturday Dec. 15, 2018 Regular Library Hours: Tues., Wed., and Fri., 12:00-5:00 pm Thursday 2:00-7:00 pm Sat. and Sun. 12:00-4:00 pm Closed Mondays. Event Description In celebration of the 50 artists from the book, The Artist Portrait Project, portraits and a selection of artists will be on display. 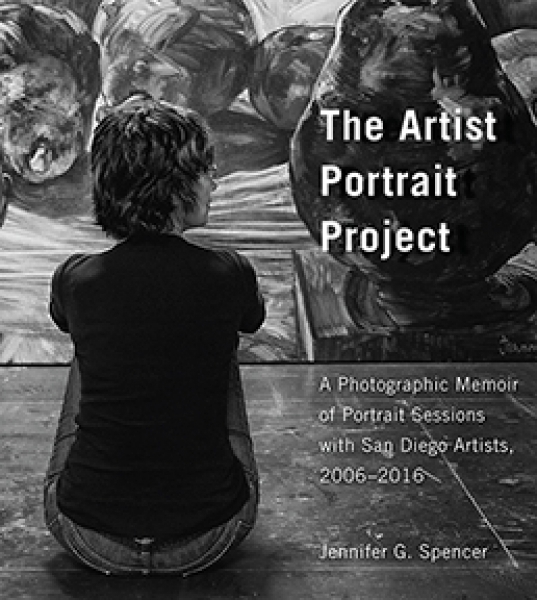 Artworks by 12 San Diego artists, along with 50 photo-portraits of artists in their studios, created by Jennifer Spencer, author of The Artist Portrait Project: A Photographic Memoir of San Diego Artists, 2006 - 2016. Jennifer�s clever and insightful portraits are the centerpiece of this exhibition, curator team included art critic, writer, and scholar Robert Pincus.